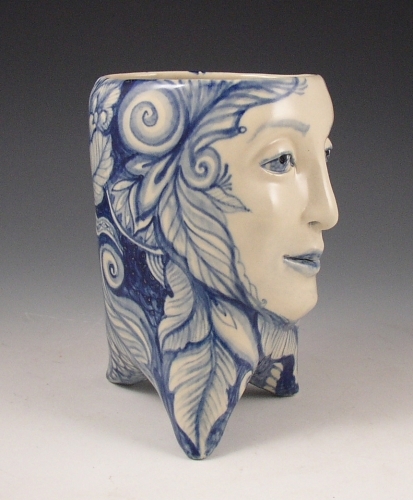 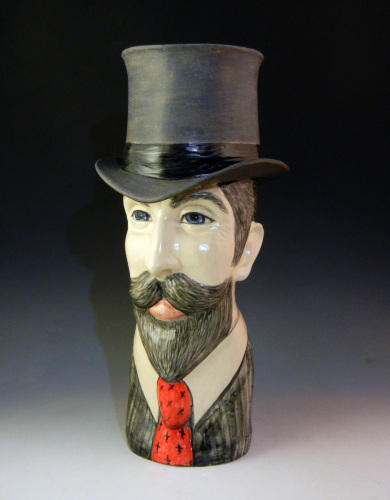 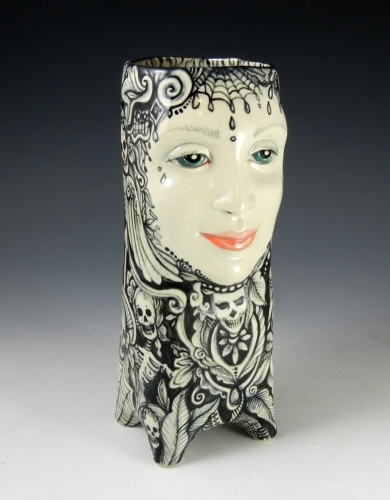 Face vase in porcelain/stoneware mix hand formed and hand painted. 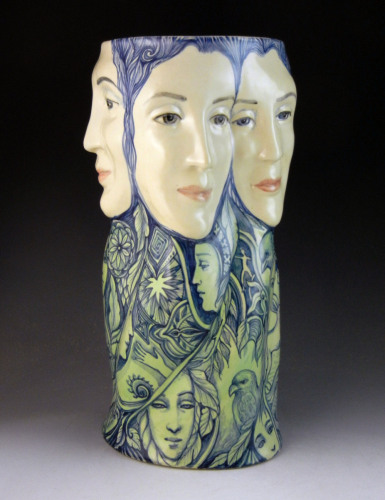 It is lined in a beautiful green glaze and is a one of a kind as is all my art. 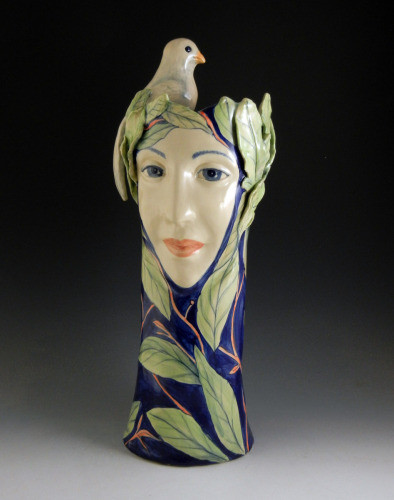 Large stoneware handmade vase with leaves and bird. 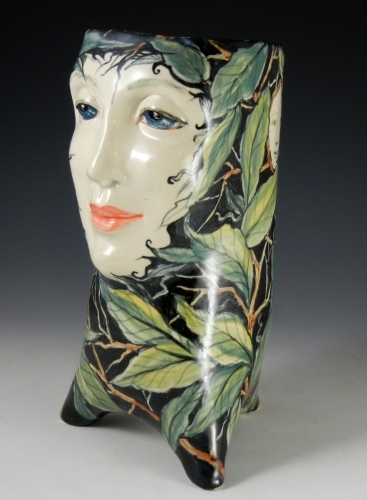 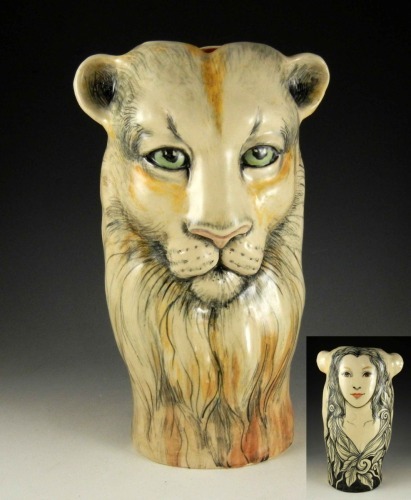 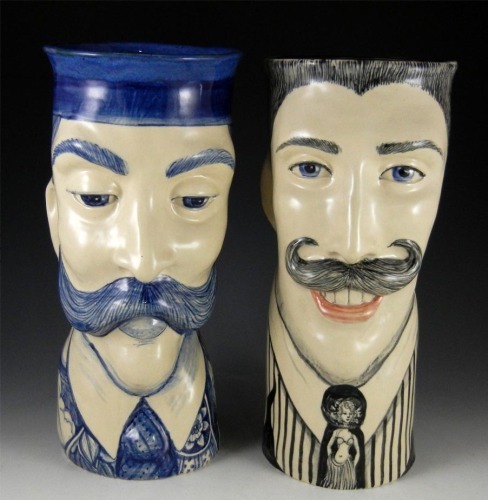 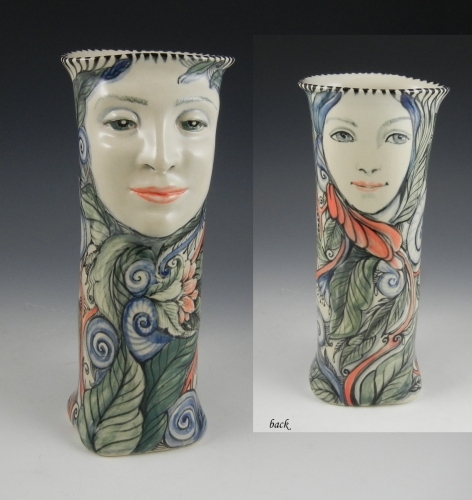 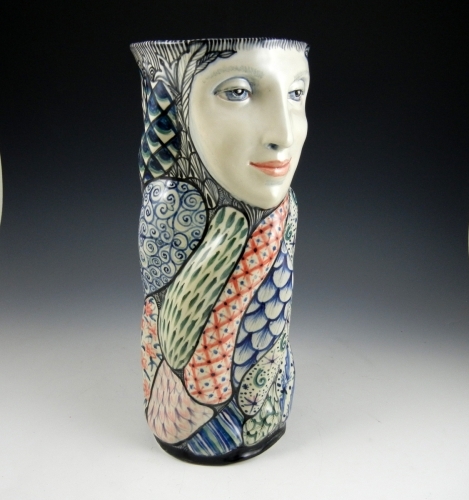 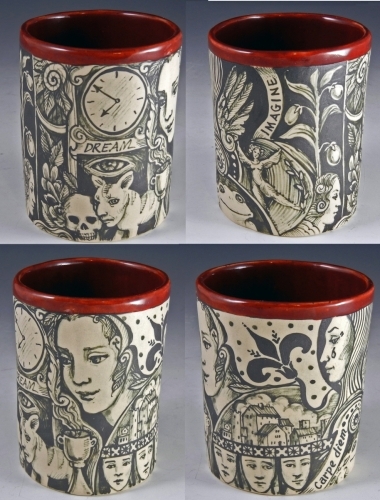 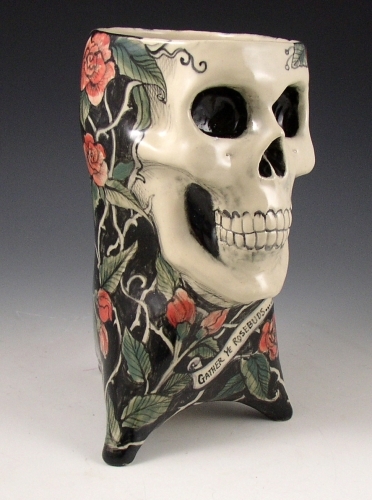 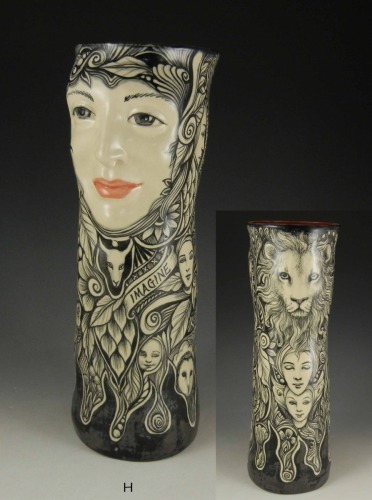 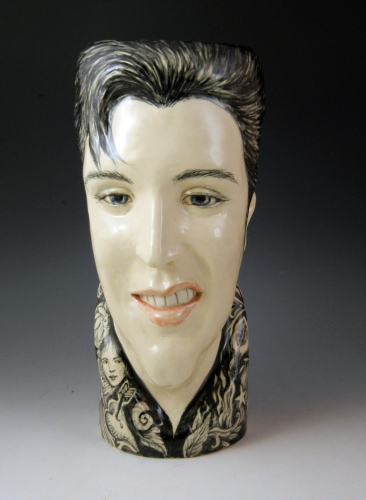 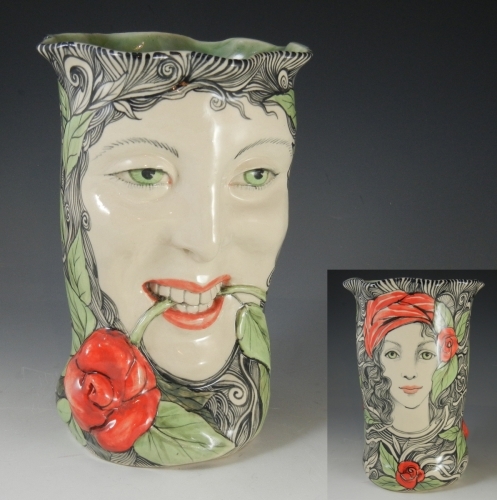 Faces on both sides of this one of a kind hand painted vase.